One of our local partners, Vlad, is a privileged man. Besides finding his passion – photography, he also happens to live in the charming, medieval city of Brasov which is located in one of the best places for photography in Romania - the picturesque region of Transylvania. Around 10 years ago he started to explore Brașov and its surroundings with his first camera. He developed an interest in photographing Romanian people, particularly village life, capturing the essence of Romanian culture and local life. And in between, the occasional superb photograph of rolling hills or rich autumn colours in the Carpathian Mountains. If you're passionate about photography yourself or would just like to see some authentic Romanian sights (and capture them with your camera phone! ), Vlad can take you on photo tours to his favourite spots for photography in Romania: in his hometown of Brasov or in nearby mountain villages where you can see authentic Romanian local life and splendid landscapes. But first, we talked to him about his passion: travelling in Romania for photography. Romanian Friend: Please tell us about yourself and how you discovered your passion for photography. Vlad: I became passionate about photography in 2008 when I bought my first semi-professional camera. This new hobby fit well with a previous one that I had: traveling. I was traveling a lot in Romania, seeing all sorts of remote regions where centuries old traditions were very well preserved. Initially, I bought a camera to take photos of the interesting things I saw. But soon, photography became the reason why I wanted to explore more of Romania. At first, I used to take photos of anything. But over time, the people I met drew my attention so I started taking photos of them in their natural surroundings. 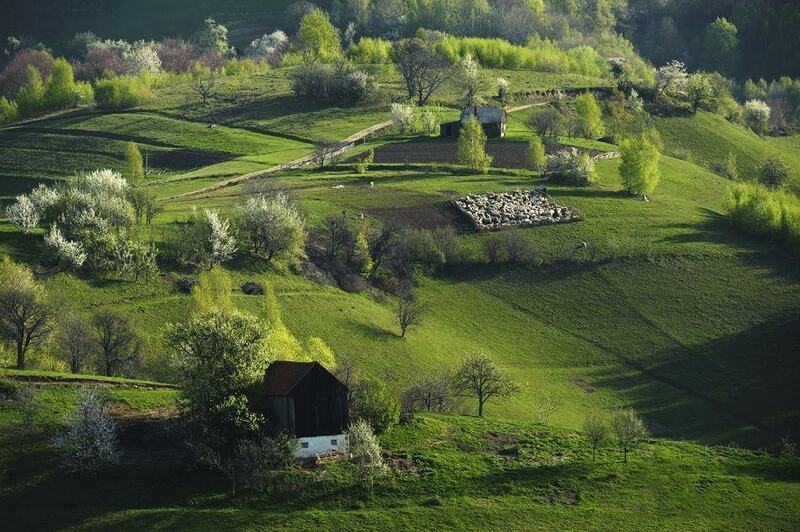 I became fascinated by the life of local villagers living in the Romanian countryside. Now, besides being fortunate to have found something I am passionate about, I also feel like I have some sort of duty to capture their lives and customs for posterity. Photography was the answer for both and I am also very lucky to live in Brașov, a beautiful city surrounded by special countryside destinations. 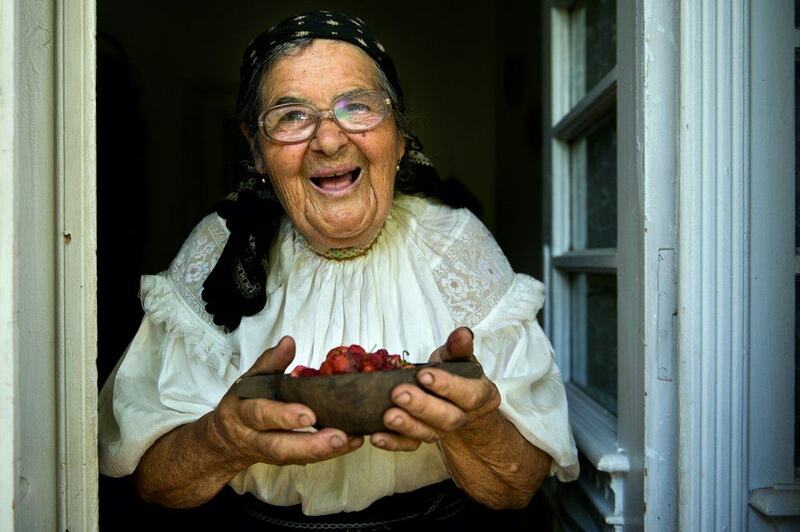 RF: Why do you think Romanian village communities are interesting photography subjects? Vlad: Actually, it’s their way of life I’m more interested in when taking photos. I don’t want to just take a portrait photo so I try to capture something more so that the photo can tell a story about the life of its subject. That’s why when I am take someone’s picture I like to do it in their home or while they’re working or with an animal they care about for their household. We live in fast changing times and unfortunately the Romanian village, with its old and rural way of life, is transforming in the process. My deeper goal is to keep the spirit and charm of the Romanian traditional village alive and I don’t have a better tool than my camera and my blog where I document my journeys. RF: How do people react when you enter their homes and point a camera to them? Don’t they feel uncomfortable? Vlad: Before going on a photo shooting spree in any village or community I always talk to the local people first. I explain to them what I do and I make sure I have their permission to take photos, even if they already know me. They trust me this way and open up their lives to me in a completely natural way. Sometimes I get the feeling that they still don’t understand what I do, but once I return with printed photographs their faces light up and sometimes ask for another photo shoot! I’m always curious to find out more about their lives and about the areas where they live, so I often end up making new friends in these villages because, as you know, Romanian people are very welcoming and friendly. RF: You offer to take people on photo trips in Romanian villages around Brașov. Don’t you think it’s a little intrusive for tourists to enter people’s homes and take photos of them? Vlad: Like I said – first, I always ask for permission, even when I’m alone. And in the villages of Holbav, Sirnea and Moeciu, which I know very well and are very good places for taking photos in Romania, I am friends with the locals because I’ve been there many times. Also, I can definitely say that locals are always glad to welcome guests, no matter if they are Romanians or not. As for photography, most villagers accept to be photographed, but there are some people who refuse and I respect their wishes. Their refusal is not because they are approached by foreigners, but because they are shy in front of the camera and don’t feel comfortable. They are however happy to share their stories and the places they live or work for photos. In any case – on my local villages photo tour there are so many things to take pictures of you won't get bored! 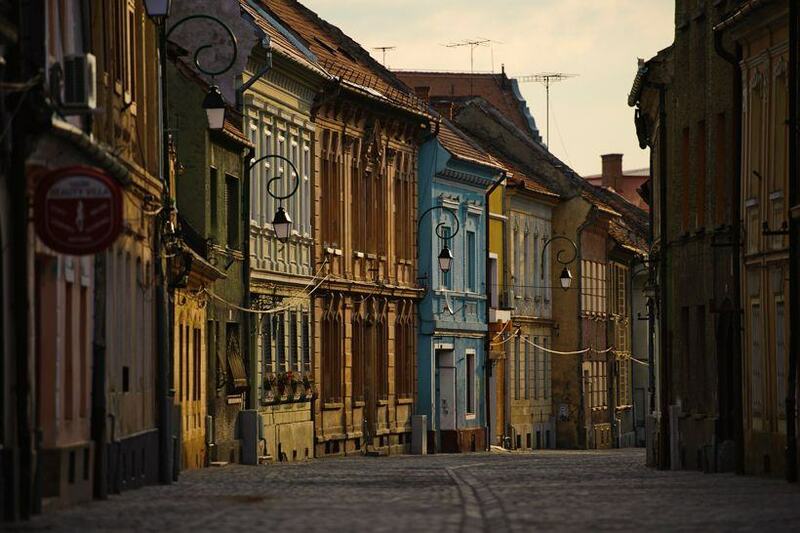 RF: What about Brasov – what are your favourite photo spots and what makes your hometown so attractive for photographers? Vlad: I don’t have a list of favourite spots for pictures in Brașov because there are so many even I keep discovering them! And for someone first time visiting Brasov, he or she will discover one of the most beautiful cities in Romania. Sometimes I take my camera and I hike Tâmpa hill for a few sunset shots. Other times I feel like in the mood for a morning walk on the fortress hill or in the Old Town to enjoy the warm light and the lack of daytime rush. RF: Last question: I know you've travelled a lot in Romania with your camera so could you tell us what other places or regions you think are the best places for photography in Romania? Vlad: I travel all the time with great pleasure to the Apuseni Mts. area (Western Carpathians), some mountain villages in Arges county (along the Rucar-Bran corridor) and, of course, the region of Maramures which has a unique beauty. Romania has small treasures hidden everywhere - travellers interested in photography will not be disappointed when they visit Romania with their camera!